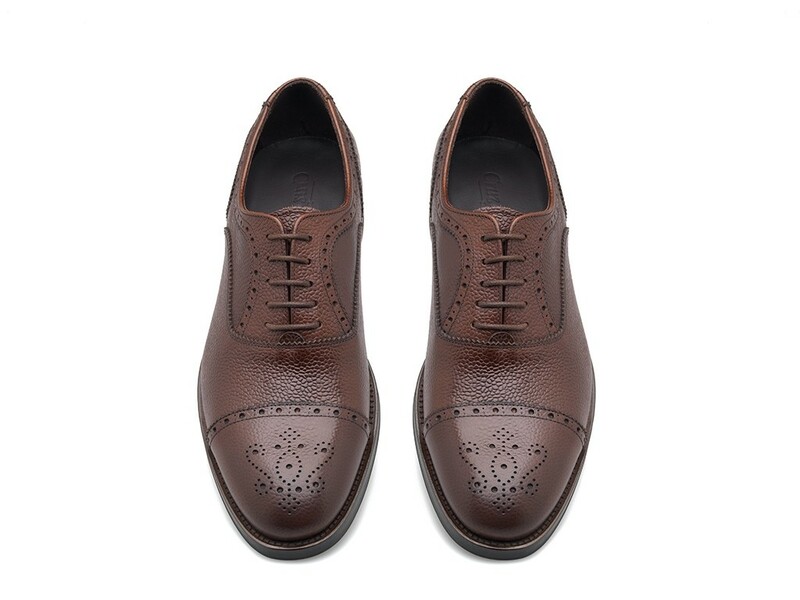 Expertly made to exacting standards, this classic Oxford shoe is a handsome brogue. 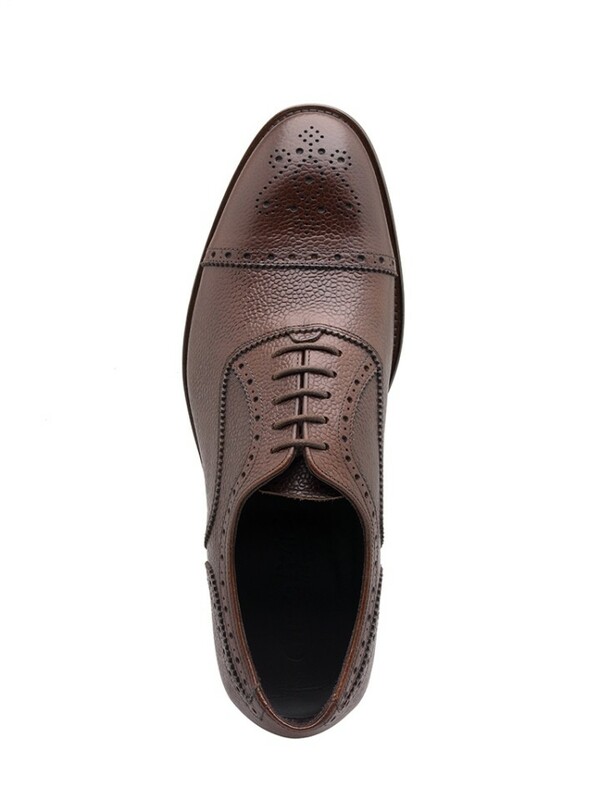 Crafted from high quality brown grain calf leather. This pair has been set on a heavily welted rubber sole for unbeatable traction, whilst the toe cap broguing adds a heritage twist.